For someone who claims to love nail polish as much as I do, it's been an embarrassingly long time since I shared my manicure with you. And it's not because I haven't been painting my nails -- I've still been painting them at least twice a week! I just got lazy about showing you what's on them. I promise to be better in 2019 -- let's call it one of my resolutions! And let's kick things off with this gorgeous color, Essie Just The Way You Arctic. This is definitely my favorite kind of color. Lavender, taupe, grey -- who can tell? 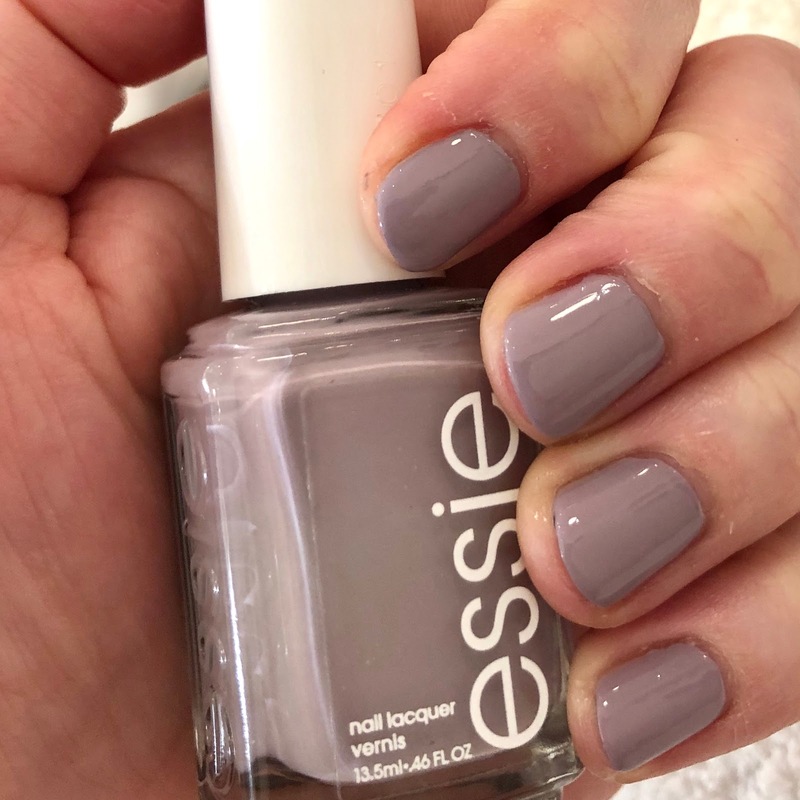 The good news is, no matter what color you think it is (in case you're wondering, Essie describes this color from their Winter 2018 collection as "ethereal lilac purple nail polish plunging in chilled grey tones"), you'll be smiling ear to ear. I love a color that's many different things depending on the light, especially a muted one that's super chic. This color delivers that in spades. And, even better, I actually got a manicure rather than doing my nails myself for a change! I had a girls weekend with my awesome cousin Olive -- she just turned 11, and it was my birthday present to her. 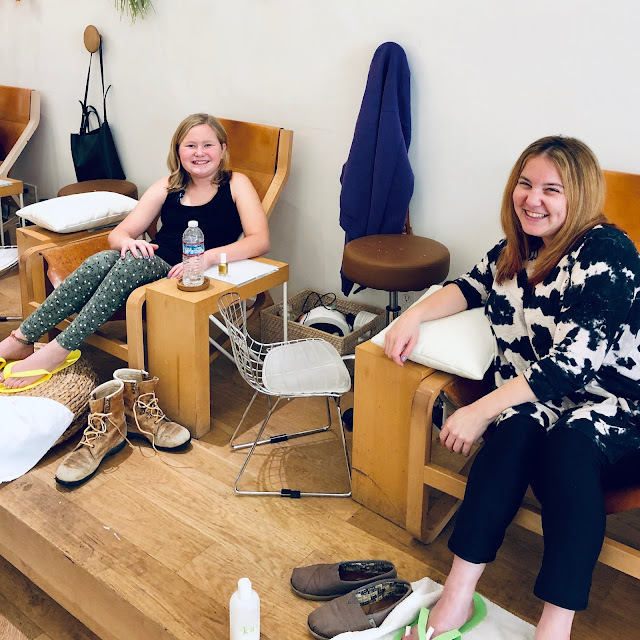 I, of course, had to take her to my favorite nail salon in Beverly Hills -- which, coincidentally, is named Olive and June! We had so much fun picking out our polishes at their massive polish wall and gabbing next to each other while we had our tips and toes painted. Even though I can paint my own nails, it's nice to treat myself to a legitimate manicure once in awhile! 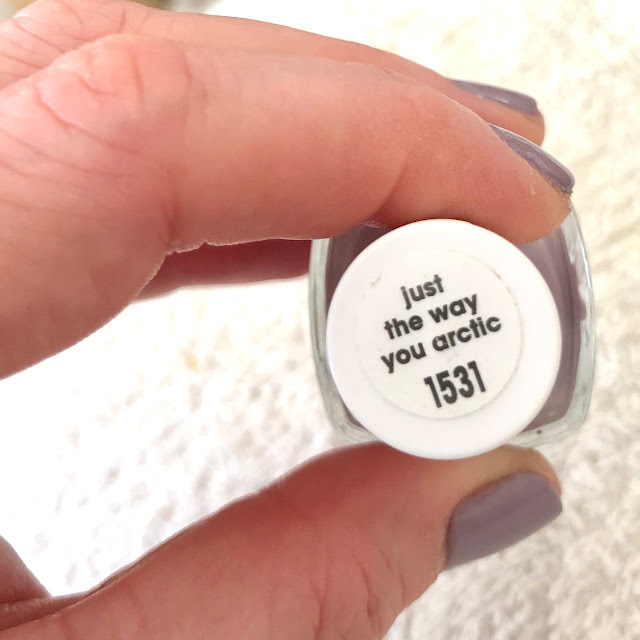 The bottom of the bottle of Essie Just The Way You Arctic. Enjoying a little mani/pedi time with my cousin Olive at Olive and June in Beverly Hills. Everything about this manicure is just ultimate perfection for me. I love the nail shape, I love how beautifully the color turned out, and I love how clean my nail beds are now! This is such a perfect color for winter and I'm loving having the chance to wear it right now. What's on your nails? Let me know in the comments! I love colors like that! This is a kind of neutral I really enjoy. I was swimming in my taupe all last summer and fall. I think that I need a bottle of this one, to add to my hoard. I love that lavender/gray shade! I am not always a fan of browns, but I love that neutral, Just the Way You Arctic. Looks like you and your cuz had fun! I love colors like this. What a fun day the two of you had!